Imelda de la Cruz is a singer/songwriter that needs to be heard. In a music culture soaked in one hit wonders, her songs are what music fans can truly relate to on an intimate level. Though earning comparisons to Fiona Apple and Tori Amos, Imelda's true influences lie in the songs of artists such as Nick Drake, Jim Croce, and Jeff Buckley. For Imelda, it has always been about creating beautiful melody and pairing it with brutally honest lyrics. Those who simply appreciate good music can't ignore Imelda de la Cruz, no matter what kind of musical genre they usually enjoy. 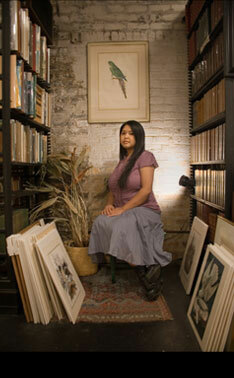 Imelda was originally born in the Philippines and spent most of her life growing up in The Bronx, NY. She currently lives in Chicago, IL where she continues to perform for anyone who wants to hear.